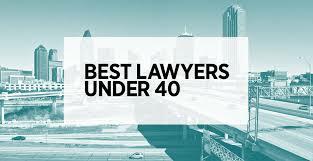 Michael Kawalek named one of the "Best Lawyers under 40" by D Magazine! - KELLY, DURHAM & PITTARD, L.L.P. Michael Kawalek named one of the “Best Lawyers under 40” by D Magazine! Congratulations to KD&P associate, Michael Kawalek, who was named a “Best Lawyer under 40” by D Magazine in the January 2018 issue! Notably, of those named “Best Lawyers,” Michael was one of only three attorneys named in the “Appellate” category.